To celebrate the 100th anniversary of the signing of the Declaration of Independence, the United States in 1876 organized and held the first International Exhibition of Arts, Manufactures, and Products of the Soil and Mine at Fairmount Park, Philadelphia in Pensylvania. The ceremony, now commonly known as “The Centennial International Exhibition” attracted nearly 10 million visitors from around the world. 37 countries participated in the event, using some of their most precious exhibits to showcase their culture. Japan, as one of the participants, presented itself with a remarkable garden, composed of plants unknown to the United States. Among the many species, one which was quite unusual was also planted in this garden, touching the American soil for the first time. 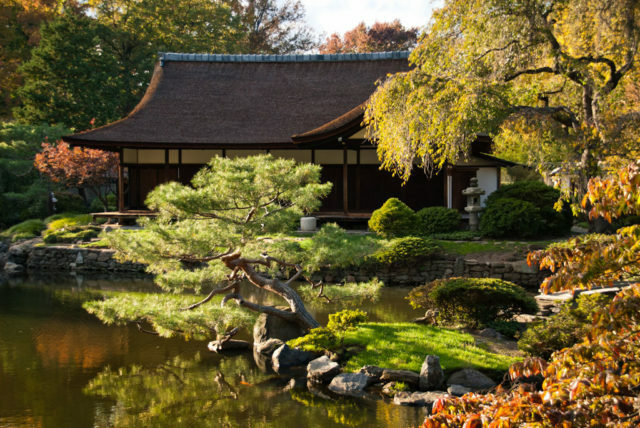 Now, after more than a century, Japan’s gift, the Shofuso garden, is still preserved and beautiful as it was constructed. The plant was spreading at the rate of 150,000 acres (610 km2) a year, or almost a foot per day, and was reaching nearly every corner of the South East, enjoying the new home. 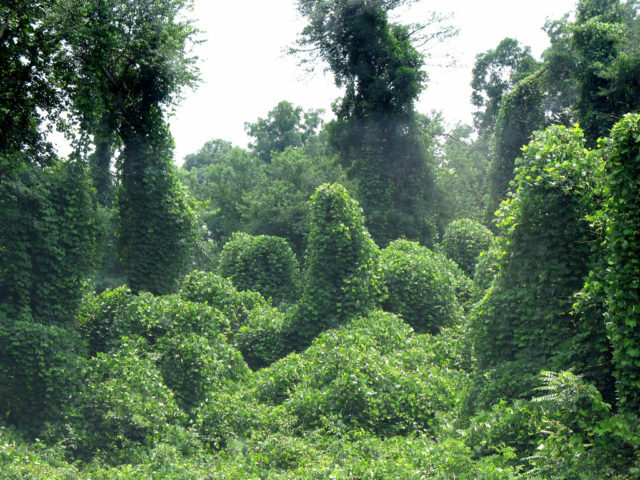 This highly invasive plant is known as the Kudzu plant or “The Vine who ate the south,” originating from Japan. It’s a perennial vine which is spreading like mad, smothering everything in its way. 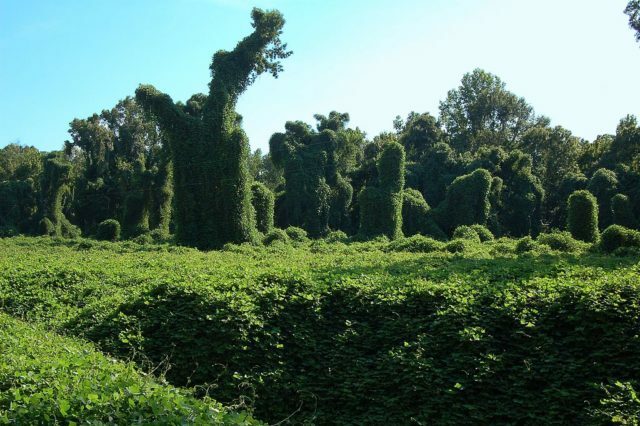 Kudzu nowadays lays on over three million hectares, covering 7,400,000 acres of land in the southeastern United States. 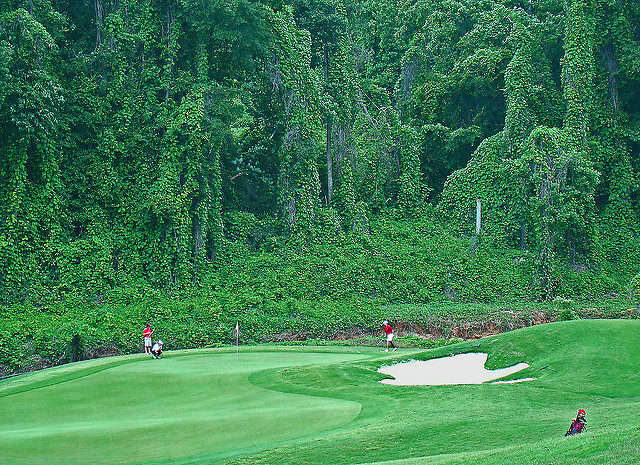 There is so much of it in the South, that one might presume it’s been growing there since the beginning of time. The vivid depictions of this plant had simply become the defining imagery of the landscape of Alabama, Georgia, Tennessee, Pennsylvania, and Mississippi, just as the palms represent Florida or the cactus, Arizona. Understandably, one might wonder about the miraculous existence of this plant. The large leaves and its sweet-smelling blooms had instantly captured the imagination of American gardeners who spotted it at an exhibition in 1876. 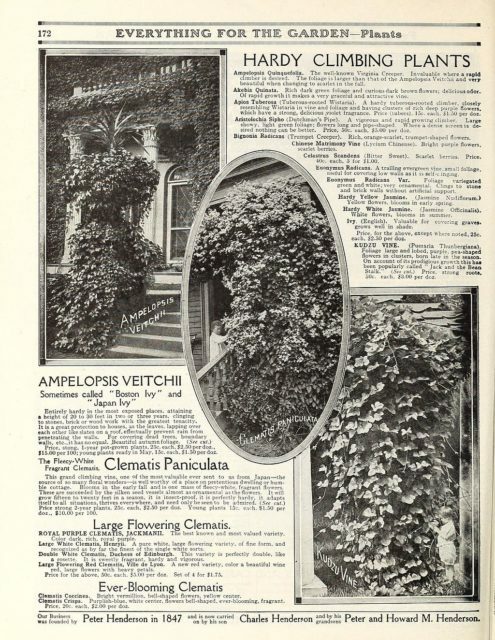 Back then, they saw just an ornamental plant and a beautiful vine that could be efficiently used as a shady retreat for the sunny homes in the south. Soon, Charles and Lilly, a family in Chipley, Florida who owned a nursery and had already bought the Kudzu, discovered that animals were crazy about the plant, eating it like there was no tomorrow. Having that in mind, they made a decision to promote and sell it as a forage for livestock. 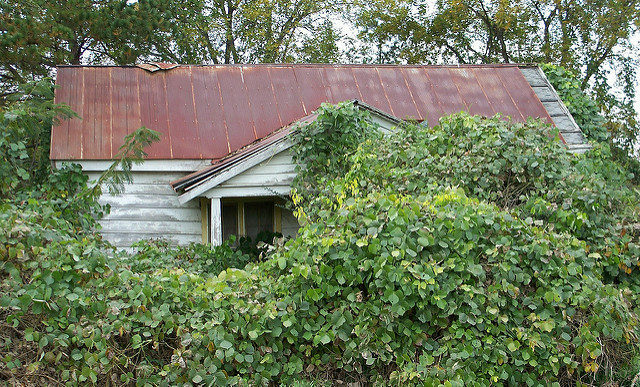 Their Glen Arden Nursery in Chipley sold the plant via mail, thus becoming the first large promotor of Kudzu in the States. For the first time, the plant touched the American soil on a large scale, which, in turn, encouraged its spread throughout the southeast. Nevertheless, the plant might have remained an enigmatic front porch ornament had it not been massively boosted by one of the most aggressive marketing campaigns in the history of the United States. 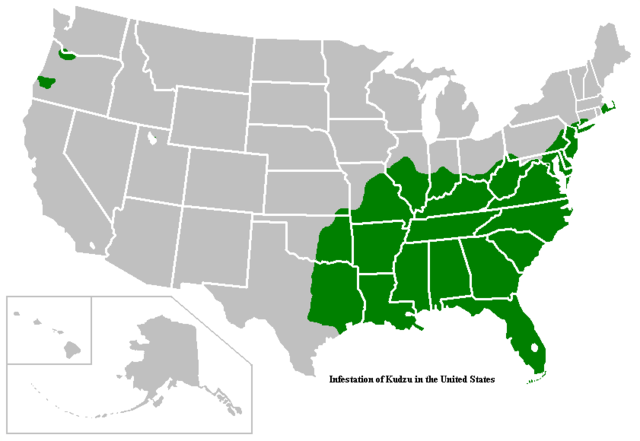 In 1935, as dust storms and perpetual cotton production wore out the fields, the Congress declared war on soil erosion and enlisted Kudzu as a primary weapon. 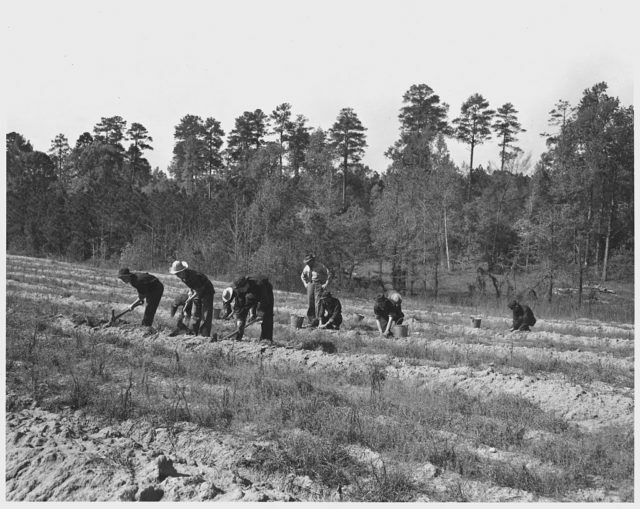 More than 70 million Kudzu seedlings were cultivated in nurseries as a solution to the erosion by Civilian Conservation Corps workers. To subdue the persistent doubts of the farmers, the program offered as much as $8 per acre to anyone inclined to plant the vine. It was estimated that in the following decade almost 3 million acres of the crop was planted in the South East. The government even hired lobbyists to promote it. The program helped, and the plant indeed was a miracle. However, that miracle soon transformed into a bitter reality, and the same attributes which had made the plant attractive as an ornamental plant for shading porches made it the “structural parasite” of the South. 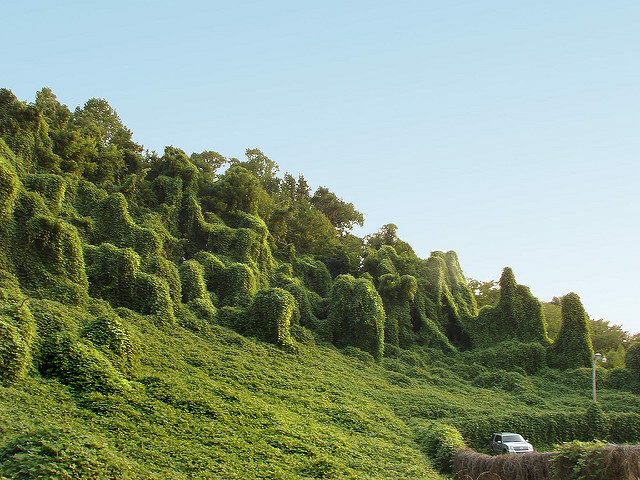 Although the plant prefers the mountains as a natural habitat for regrowth, in the South part of the United States, where the sunshine is abundant and winter nowhere to be found, the Kudzu found its paradise. The plant in Japan and Korea is mainly planted in the mountains. The seasonal changes and the tough winters forced it into being a seasonal and an above-the-ground plan. 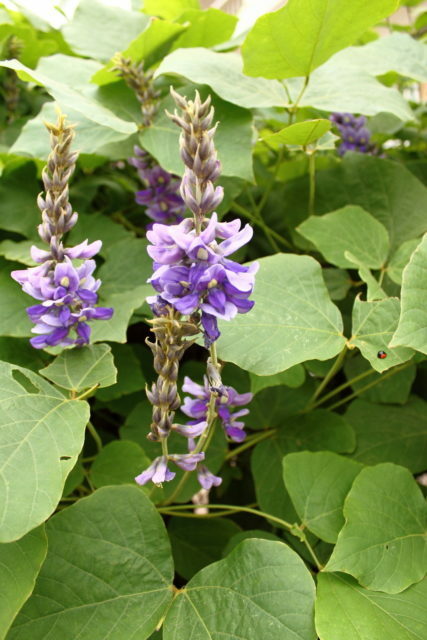 Kudzu was nurtured for centuries and used in the Japanese cuisine and natural medicine. In China, people even used it in the making of herbal drugs for treatments related to alcohol problems. Encountering mild winters and not having any natural predators in sight, the plant in the US thrived. It continued to clone itself uncontrollably and planted roots wherever its stems touched the soil, allowing vines to grow in any direction, smothering other plants under its dense blanket of leaves. 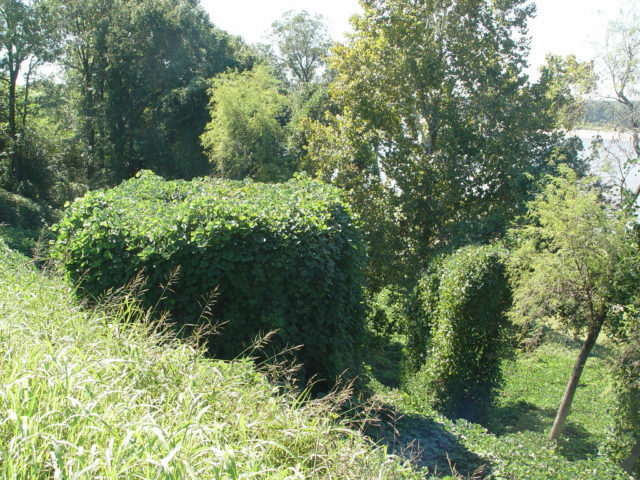 Unfortunately, the kudzu is also a deep-rooted plant, and this makes the removal even more problematic. The roots can grow up to 7 feet long, weighing approximately 220 pounds. Apart from all the mechanical, chemical, and biological methods applied, it still continues to ‘consume’ the south, destroying power lines, buildings, and any native vegetation in its path. 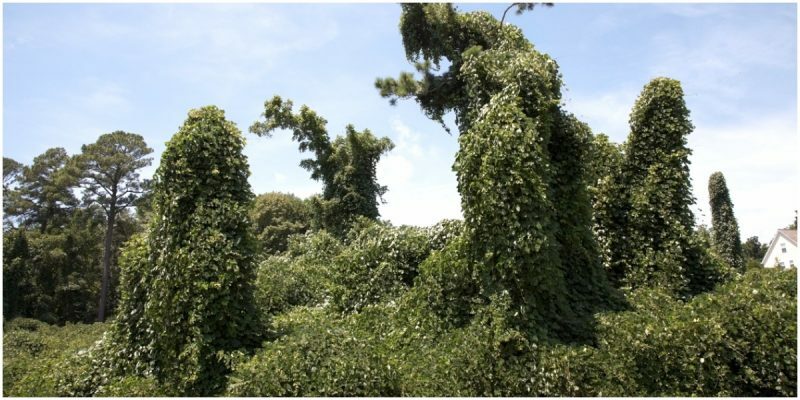 United States Department of Agriculture in 1970 listed the plant as an invasive weed and by 1997, they placed the vine on the Federal Noxious Weed List.